About halfway through PST (pre-service training), there is a big event called “Site Announcements” where our future permanent sites are revealed. This is followed within the next couple of days with our site visits, where we go for 2-3 days to visit our new sites. We meet our partners, check out the town, and our places of work (for EE volunteers, we also meet our school directors and check out the town, as well as meet our English teaching partners). We also stay with our host family in the room we will be staying in. Part of the huge map of Moldova that was used in our site announcements! My town is the second from the bottom of the photo (#42). Our Site Announcement was yesterday, and it was very exciting! 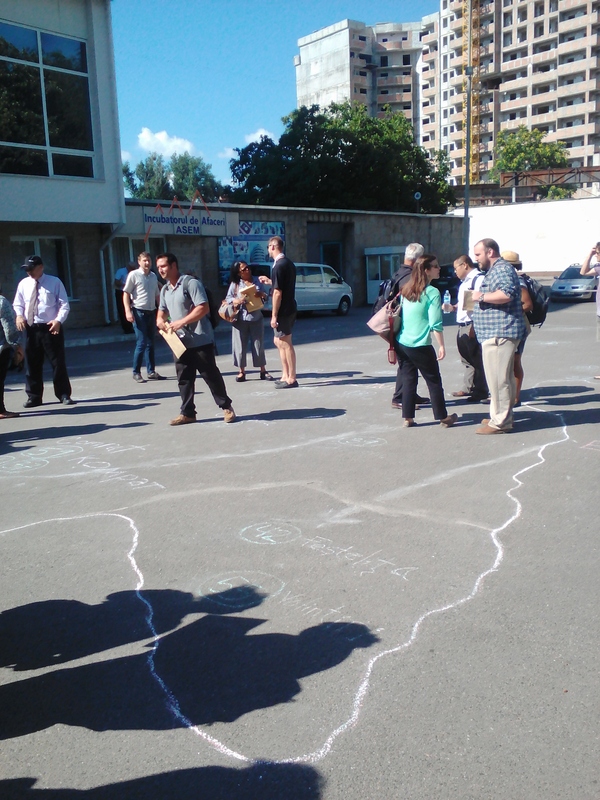 While we were in sessions at the hub site in Chisinau, the mentors and staff mentors drew a huge map of Moldova outside in a parking lot. 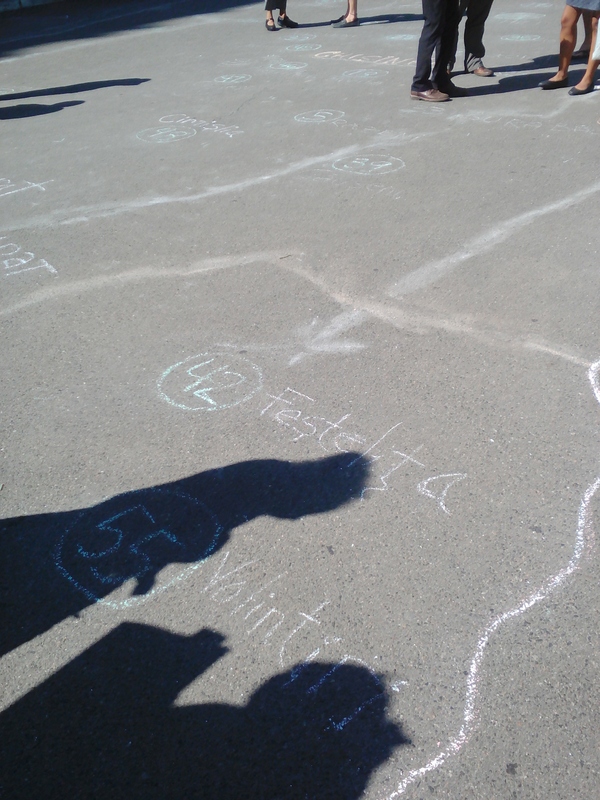 The map was divided by raion (region), and circles with numbers were drawn at each of our sites. After we finished our sessions, we headed outside. We could see the map but didn’t know where each of us would be located on the map. We were then blindfolded and the mentors guided each of us to our circle on the map. After everyone was situated, we were told to take off our blindfolds and we could see where we were on the map! We were also each given an envelope with additional information about our sites. I am heading to Festelita! I was a little nervous after I was led to my circle before we were able to remove the blindfolds. I couldn’t hear anyone else near me and could tell I was near the border because there were no voices behind me. But I’m actually really happy with my placement so far! I was placed in Festelita, which is a small village in the Stefan Voda raion, with is in southeastern Moldova. I’m relatively close to the Ukraine border as well as the Transnistria border (a semi-recognized state that is technically part of Moldova, but that governs itself and that is between Moldova and Ukraine- which is, of course, a very simplified explanation). So far, I’ve heard that it’s a particularly beautiful part of Moldova. A friend helped me out by pointing to my site- the part that is marked with diagonal lines is Transnistria. 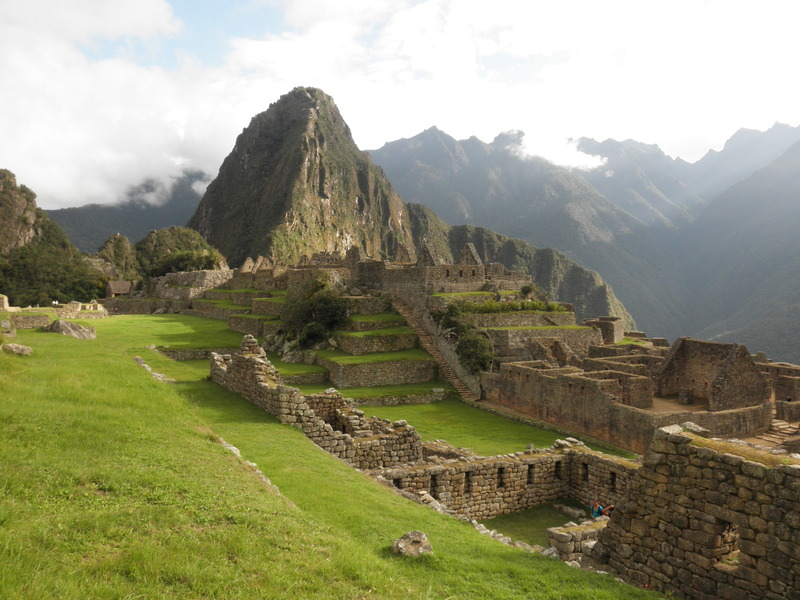 We also got additional information about our host family and our “job” placement, as well as the town. I’ve been assigned to a gimnasium (middle school), but I’m fairly certain it is connected to a primary school. This means that I will be teaching up to 9th grade. My village does not have a high school, which is fairly common in smaller villages. There are 270 students in the school (possibly in grades 1-9, but I’m not entirely sure yet). My host family is a middle-aged couple (in their 50s). They have three children, including a 16-year-old son that lives in Chisinau in order to attend school, a 24-year-old daughter, and a 29-year-old daughter. One of the daughters lives in Chisinau, the other works in Italy. None of the kids live at home. The family has cows, pigs, hens, and rabbits, and I’m only about a 5-10 minute walk from the school! Today we had a conference with our school directors. My school director was very friendly and we were able to communicate relatively well despite the fact that she does not speak any English and I’m still learning Romanian. Tomorrow morning, she will accompany me to my site, where I’ll meet my host family, my partner teacher, and get to see the school and village. I’m very excited!